I got a bit of a surprise this Father’s Day. 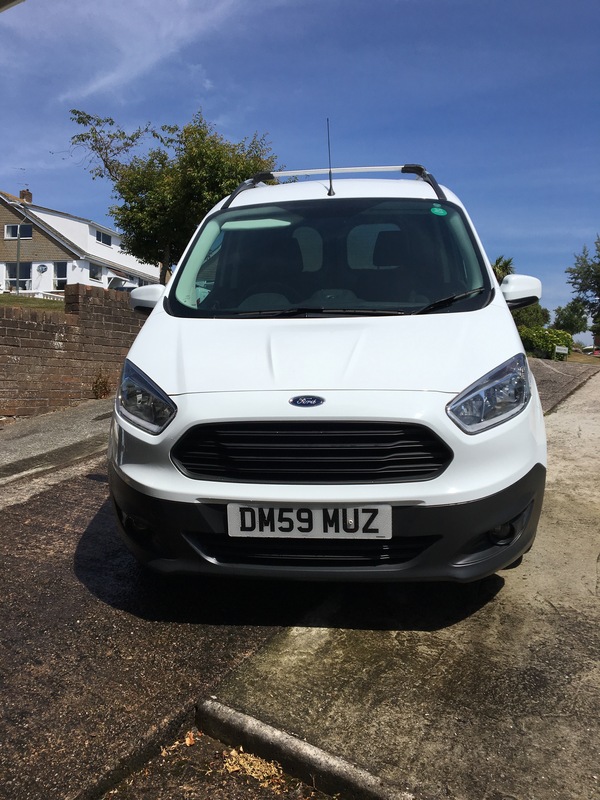 My sons, Matt & Nick got me a personalised registration for my, still, nearly new van. The significance of the 59 is the year of my birth as well as being my age this year. Thanks boys. 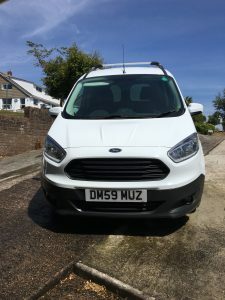 Meanwhile if you would like a quote, or just some advice, then give me a ring or fill out the form on this page for a call back. Yet again I’m out there covering all the windows of a brand new house. 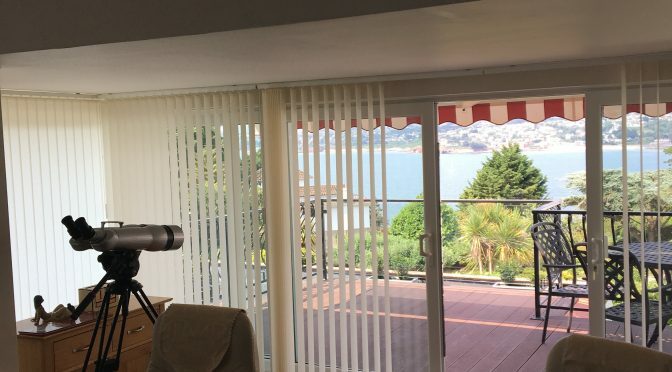 This time it’s my 6th time at the new Primrose Hill development on The Willows in Torquay. 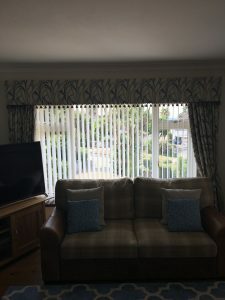 Vertical Blinds all round this time, with Roller Blinds in the bathroom, kitchen and cloakroom. If you would like a quote for your new home then give me a ring or fill out the form on this page for a call back. Trouble sleeping on the summer nights, when the sun rises halfway through your sleeping? Maybe Blackout Blinds are the solution. 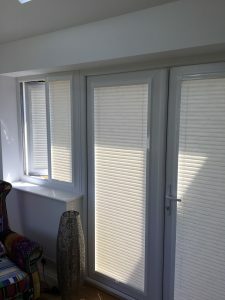 Whether verticals, pleated or rollers, as illustrated, the result is a dark room to aid your sleep and wake refreshed. 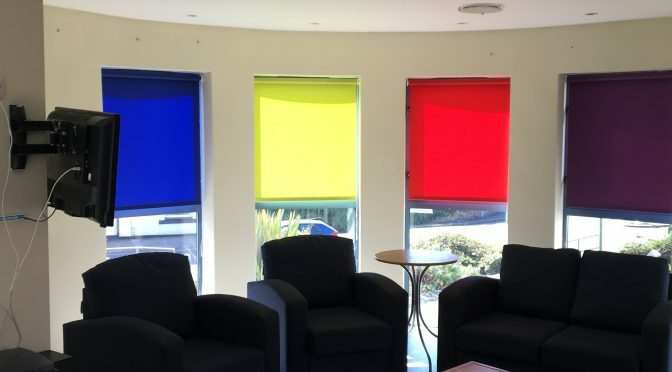 If you would like a quote for blackout blinds, or just some advice, then give me a ring or fill out the form on this page fora call back. On our recent holiday to South West Wales we visited St Davids. 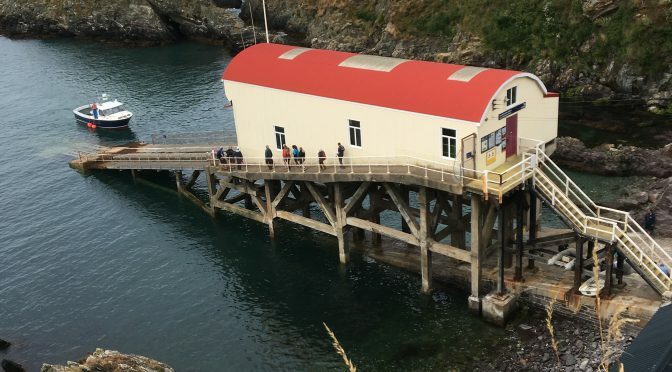 While on the coast path we came across the lifeboat station, or should I say 2. 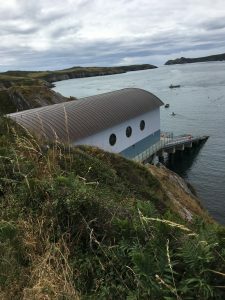 The new, modern station has been built just a bit to the side of the old one, which is now used as a pier for various boat trips. It was good to see a modern lifeboat in a modern boathouse, ready to deal with emergencies in what can be a treacherous area. 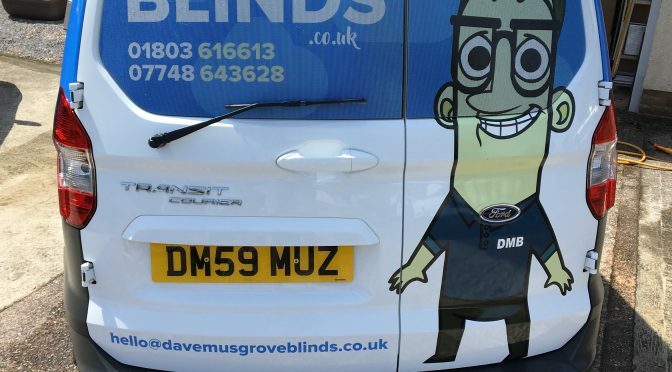 Meanwhile if you would like a quote, or just some advice on blinds, then give me a ring or fill out the form on this page for a call back. 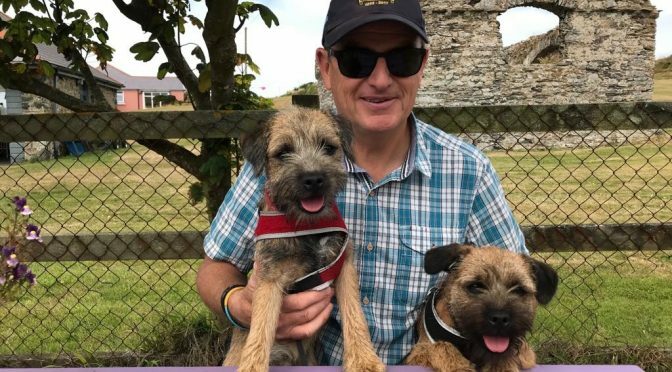 Our new puppies, Ralph and Jordy, enjoyed the new surroundings of a week in South West Wales recently. They enjoyed lots of exercise with walks along the coast, on the beaches and through the woods. It helps keep me fit at the same time, no bad thing at my age haha! Meanwhile if you would like a quote, or just some advice, give me a ring or fill out the form, on this page, for a call back. If you’ve not seen Perfect Fit Blinds you’re missing out. 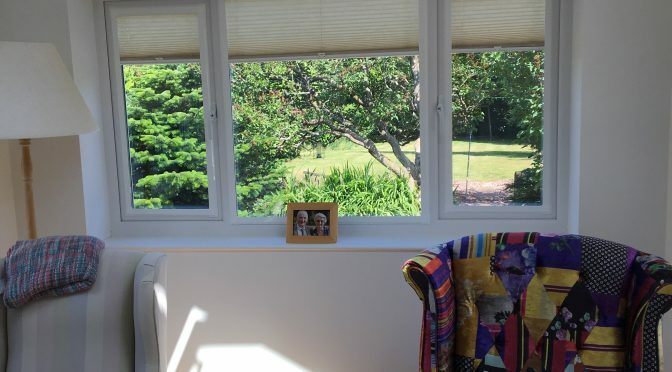 One of the best innovations in Blinds in the last 20 years, they bring a whole new style to dressing uPVC windows. 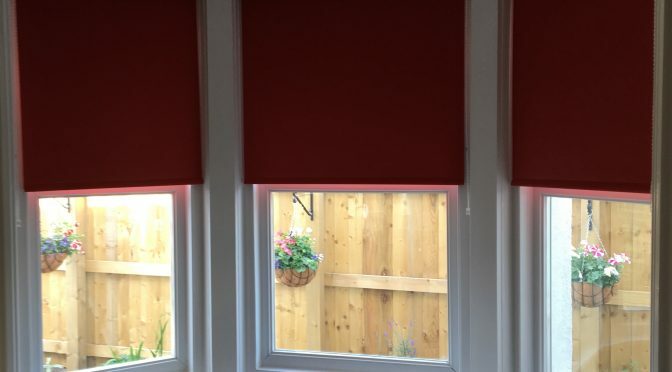 Fitting neatly up against the glass and surrounded by a frame to match the window colour, they are the perfect solution to window covering. 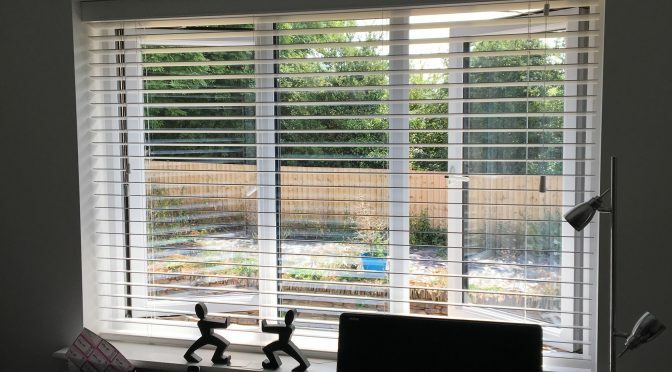 Whether in Pleated fabric, as pictured, or as 25mm Venetians, they are neat, compact and unobtrusive. If you would like a quote for Perfect Fit Blinds, or just some advice, give me a ring or fill out the form on this page for a call back. 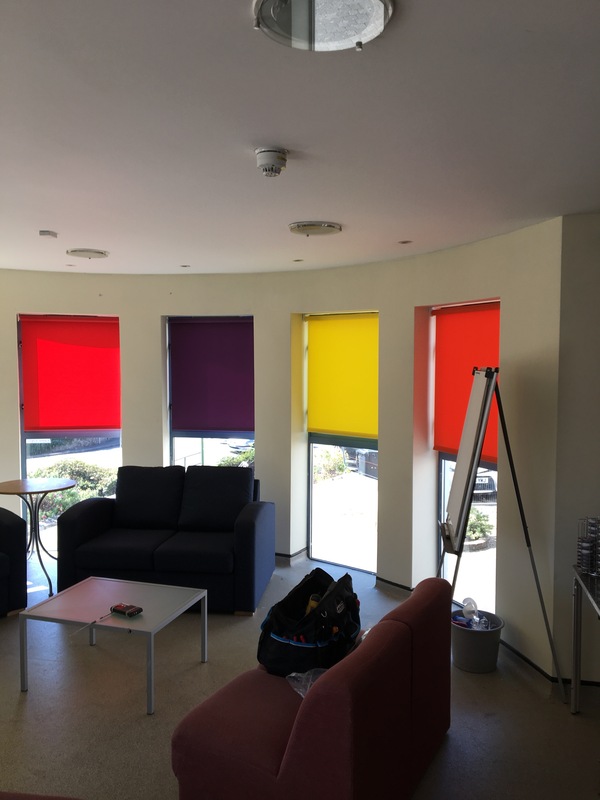 I recently was tasked with providing a bright solution to covering 6 windows on a semi-circular bank of windows in Torquay. The answer was to fit 6 Roller Blinds, each in different bright colours and I think the effect is stunning, even if I do say so myself. If you would like a quote, or just some advice, give me a ring or fill out the form on this page for a call back. 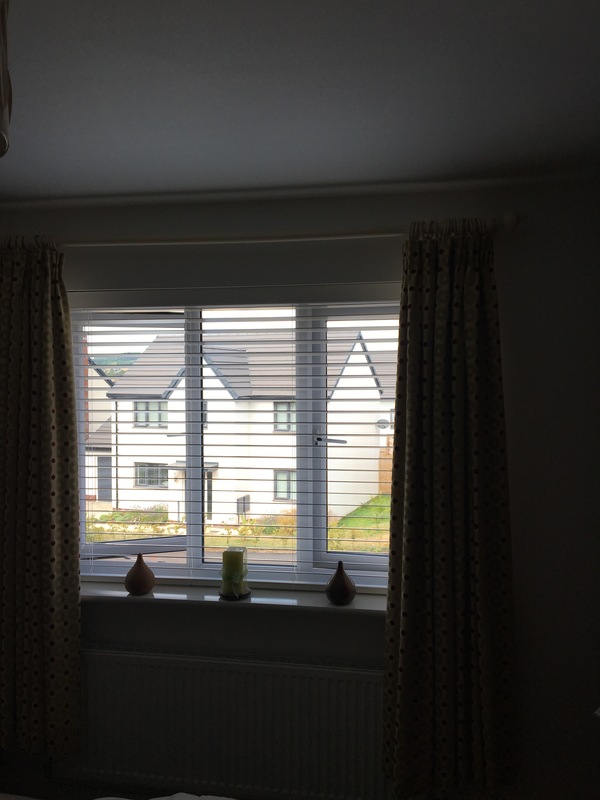 It seems to be accepted, these days, that wooden venetian blinds add style to a property. 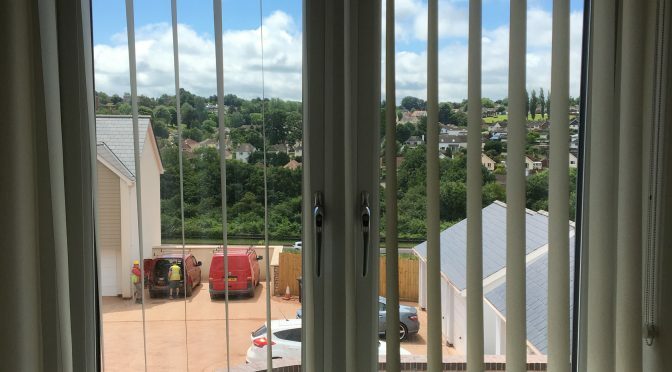 These pictures of a recent 7 Blind fitting, on a new development in White Rock, Paignton, definitely seem to prove the point. 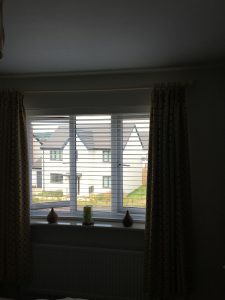 If you would like a quote for wooden venetian blinds, or just some advice, then give me a ring or fill out the form on this page for a call back. Having lost our Border Terrier, Izzy, in February, to various ailments and old age, we decided to wait a while before taking the plunge again. 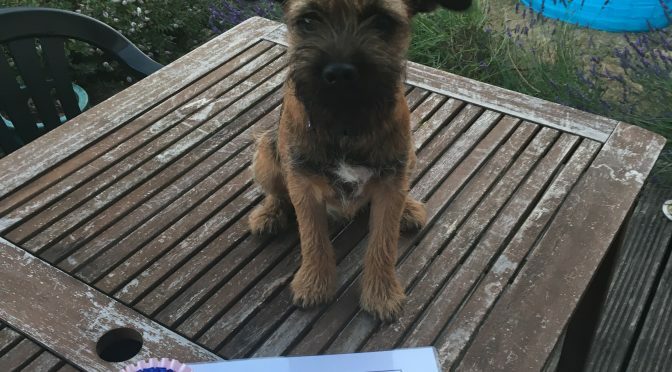 Well that lasted all of 2 weeks and by the end of March we had 2 new Border Terrier puppies, Ralph & Jordy, brothers. 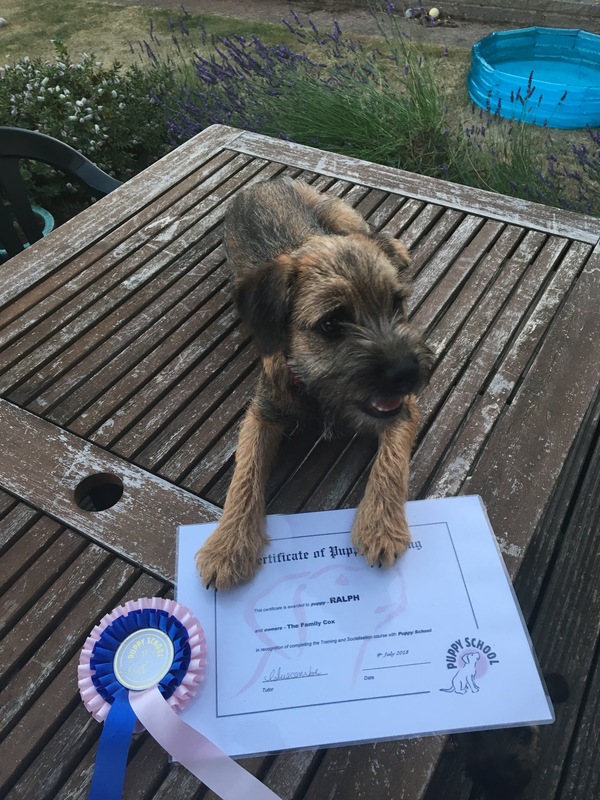 Now they have just completed puppy training, with certificates to prove it. Having just finished training let’s see how they go on our week in South Wales? ?.